Elissa used to have it all: looks, popularity, and a bright future. But for the last three years, she’s been struggling with terrifying visions, phantom pains, and mysterious bruises that appear out of nowhere. Finally, she’s promised a cure: minor surgery to burn out the overactive area of her brain. And then, on the eve of the procedure, she discovers the shocking truth behind her hallucinations: she’s been seeing the world through another girl’s eyes. Now, Elissa and Lin are on the run from a government who will stop at nothing to reclaim Lin and protect the dangerous secrets she could expose—secrets that would shake the very foundation of their world. 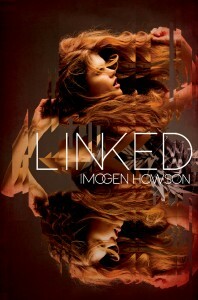 Categories: Paranormal, Thriller | Tags: Imogen Howson | Permalink.